So, let's say your roommate is pumping iron to her workout DVD in the living room. ...or maybe you have THE cutest dog in the universe that naturally, he’s the ultimate distraction. ...or the kids are singing the Paw Patrol theme song at the top of their lungs, over and over. ...and don't you just love those days when your cubicle neighbor types extra aggressively? ...or maybe you simply need a cup (or 3) of coffee? Whatever the case may be, sometimes we need to switch up our environment in order to focus and get some work done. Homework, monthly reports, and email inboxes around Tempe be warned... you're about to be *DUN DUN DUN* ... studied, completed and cleaned up. 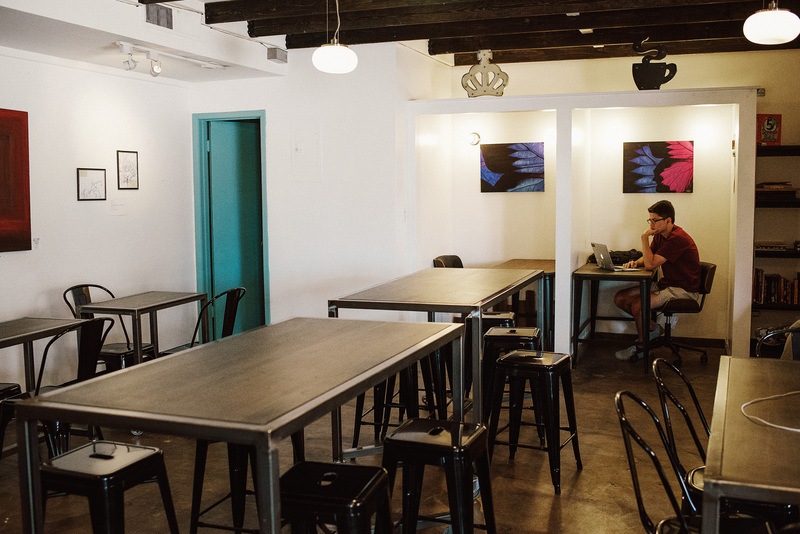 Here are 12 spots you can hit up around Downtown Tempe to get your focus on and squash those tasks. This cozy nook is the perfect spot for solo work time. It’s quiet, has great natural light, and is in a convenient location. Everyone in our office raves about Royal’s cold brew. If you’re not feeling coffee, their iced teas are out of this world! This family owned shop is a real treat. The drink options are endless here, enjoy something delectable like a Mango Peach Banana Smoothie, a Honeydew Milk Tea, or keep it simple with an iced Americano. You can add boba to any drink – which is an awesome touch! Every time I leave The Blend, I already know which drink I’m going to try next time. Cold brew + boba is next up on the list for me! Have you had it? Make sure you hit this spot when you’re hungry, because you’re not going to be able to pass up the pastries. I’m talking almond croissants that will blow your mind. Crepes you’ll dream about at night. Oh yeah, and a full espresso bar to shift your focus from macaroons to homework. Get your study on at Cupz with delicious espresso, loose leaf tea, super friendly service, and delectable eats (like, really good eats; salads, soups, breakfast sandwiches) and the list goes on! Oh yeah, make sure you follow Cupz on Instagram... this little cup travels all over Tempe and takes selfies along the way. Nestled in between Casey Moore's Oyster House and Otto Pizza, Cartel is an awesome spot to buckle down and hammer out some homework. The funky vibe and buzzing atmosphere will have you feeling motivated and refreshed. Don't even get me started on the aroma... they roast their coffee beans out in the open and it is AMAZING. You’re going to want to check out ChopShop’s patio, which is perfect for group study sessions and brainstorming. With a front “porch”, string lights, and your choice of everything from wine to espresso, PLUS good-for-you food, you’ll quickly understand why ChopShop is so loved! This non-profit coffee shop is located right next to The Salvation Army. Inside you’ll find tons of seating, from high two-tops to long six seaters. There is also a big screen TV with an Xbox, surrounded by cozy sofas. 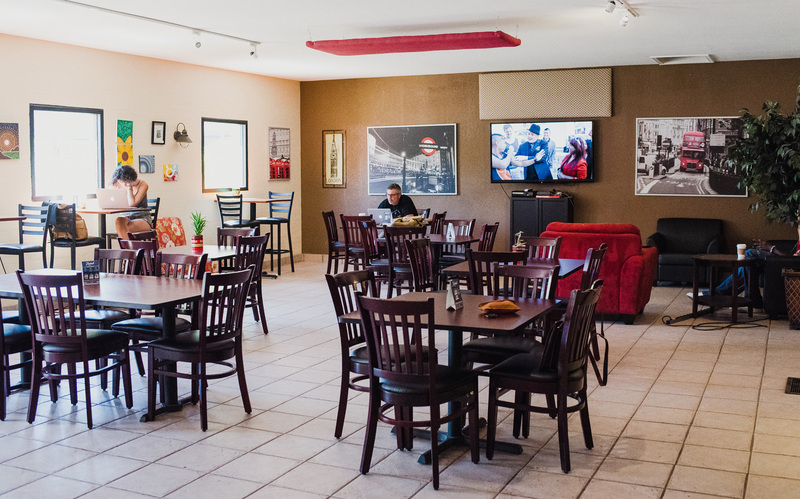 1865 sources their coffee beans from Cortez Coffee Co, which is also located in Tempe! Hungry? They have $1 bagels and $4 grilled cheeses! This bakery is a great spot to claim your booth and hunker down for the afternoon. 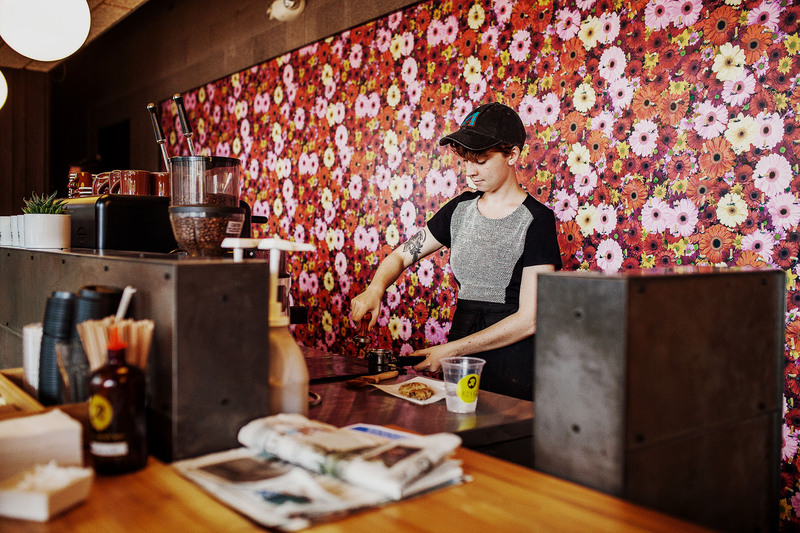 They’ve got great sandwiches to keep you fueled, and plenty of cold brew to keep you caffeinated. Just outside of the downtown district, King Coffee is definitely one to visit. They just recently got a makeover, and expanded into what was previously “Moonage” (which moved to Desoto Market, btw!) – so there is is a ton of space! This includes a cozy couch in the corner, long tables for collaborating, and even private cubicle-like nooks for solo work. Located at the corner of 6th Street and College Ave, this public space is such a beauty, great for those days when you just need to be outside. With four-person tables and chairs, this area is good for group study sessions, or for solo study. Grab a book, a brew from one of the local shops (The Blend is right there!) and bring it outside to enjoy the view! We all know and love Starbucks, and the one (of 3 in Downtown Tempe!) located right on 5th and Mill is a great spot to swing into for studying with a PSL in the AM. Bonus: When you’re finished with your work, you’re literally right in the heart of Downtown to meet up with friends, shop, or grab lunch! Looking to meet up with your crew to do flash cards, quiz each other for upcoming test, or plan your next project? This breakfast joint (open from 7:00 AM - 3:05 PM daily) is for you. Chill out and enjoy the morning sun (A+ patio), sip some coffee, and join the other energetic early-risers in starting the day off right. 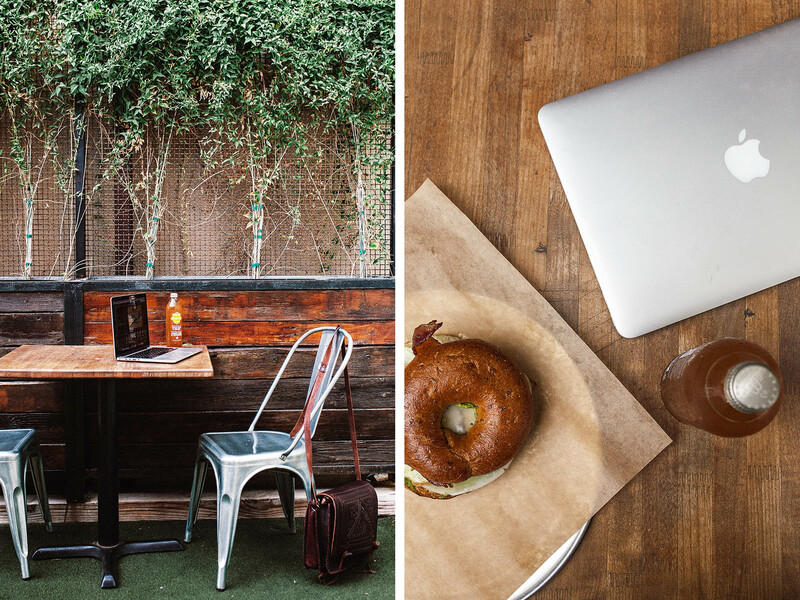 What's your favorite study spot in Downtown Tempe? Share a photo tagged with #DowntownTempe to show us!